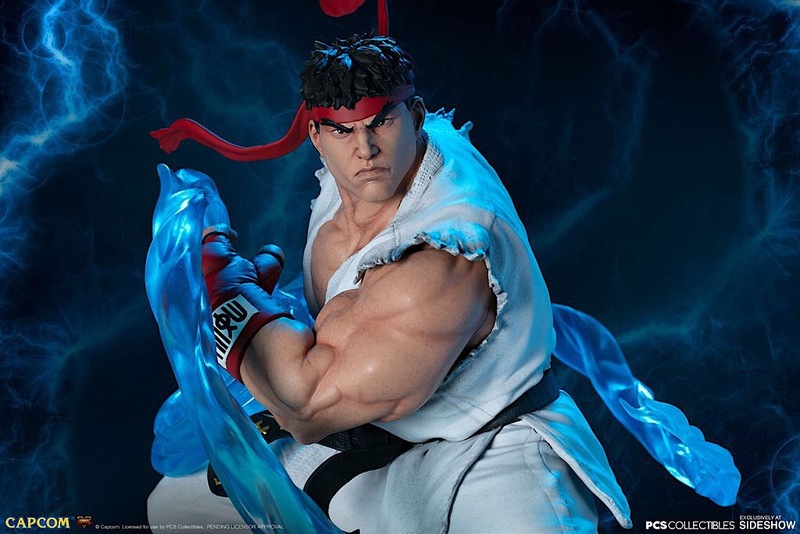 Sideshow and Pop Culture Shock Collectibles are proud to present the Ryu Ultra 1:4 Scale Statue, ready to level up your roster of Street Fighter collectibles. 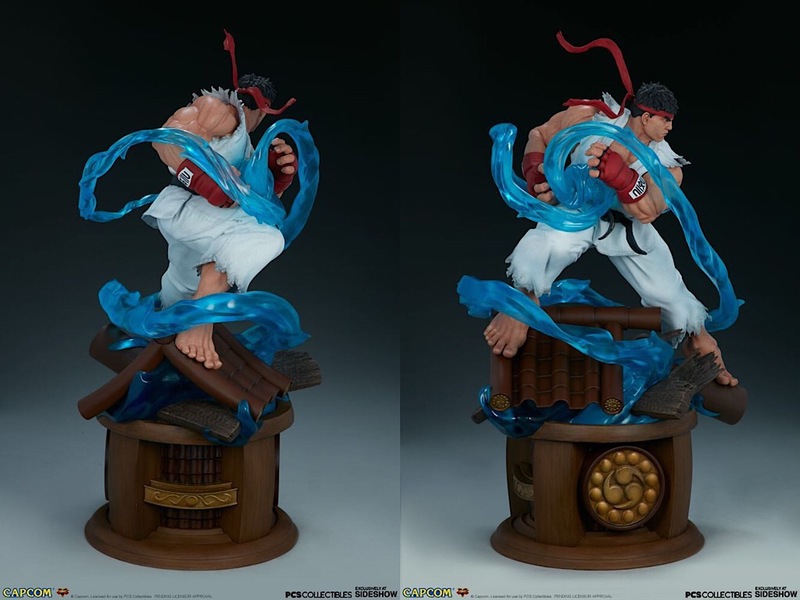 Ryu stands about 20.5” tall atop a stylized Suzaku Castle base, home to this hero’s training dojo. 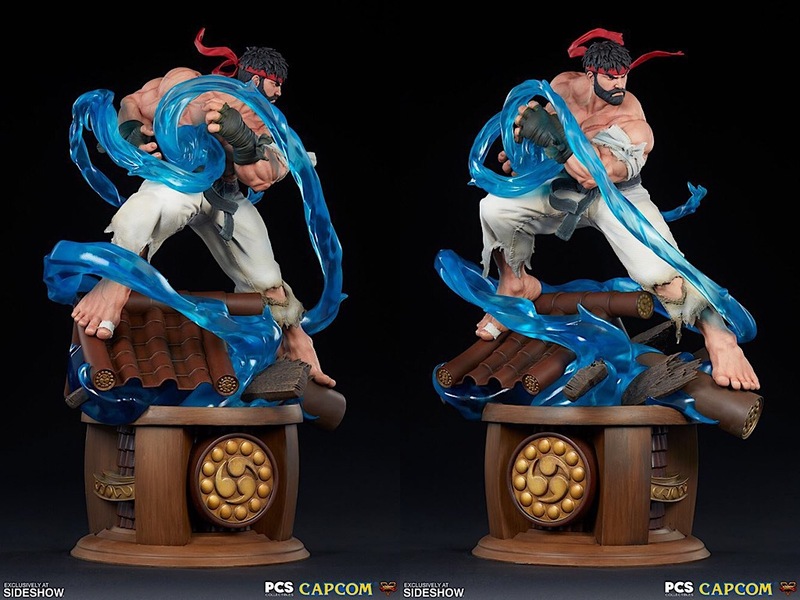 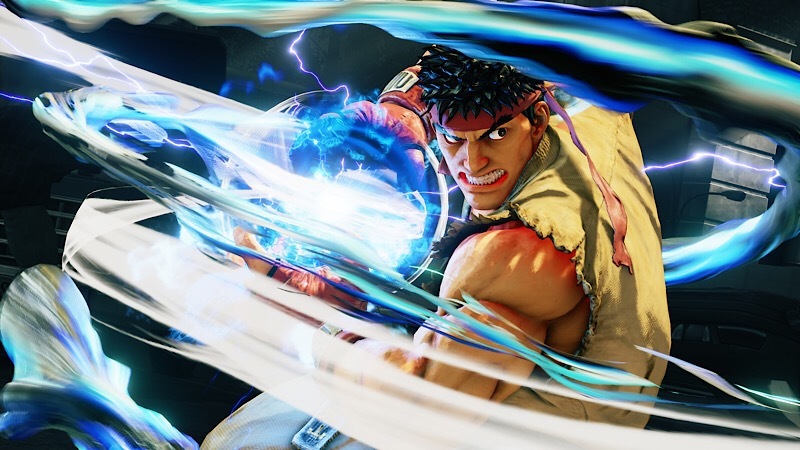 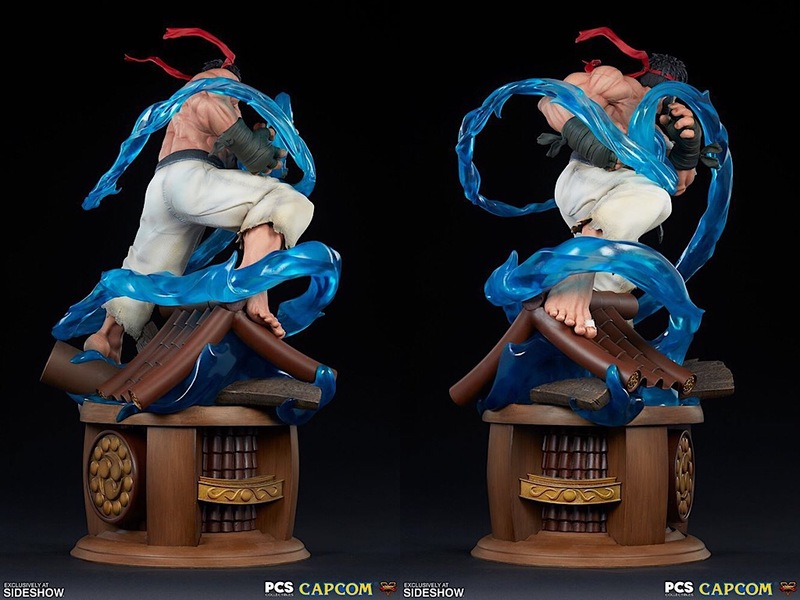 Translucent blue energy surges around the statue as Ryu charges his iconic Hadoken attack in a moment of intense focus, captured in this dynamic video game collectible. 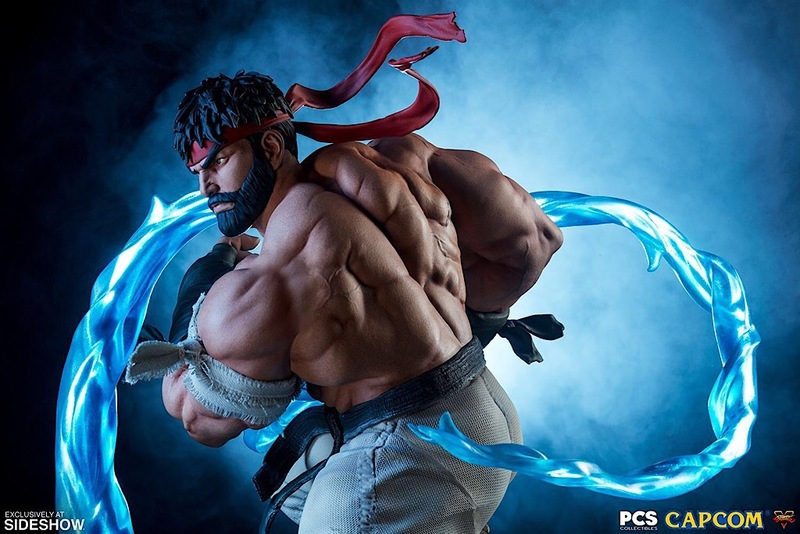 This ultra-detailed 1:4 scale statue is completely sculpted, faithfully referencing actual in-game models to ensure the utmost accuracy to this iconic character. 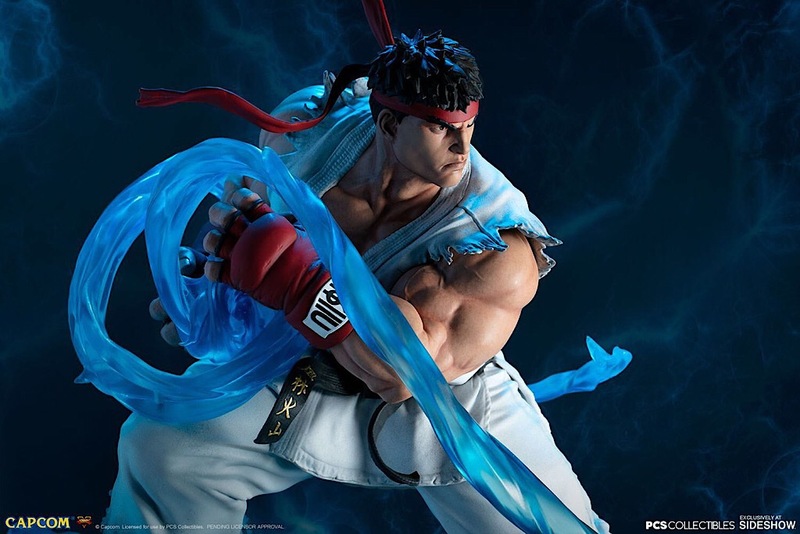 Ryu’s muscled physique and famous white gi, red headband, and red gloves are all detailed with lifelike textures, adding a new layer of finesse and fidelity to this Street Fighter collectible. 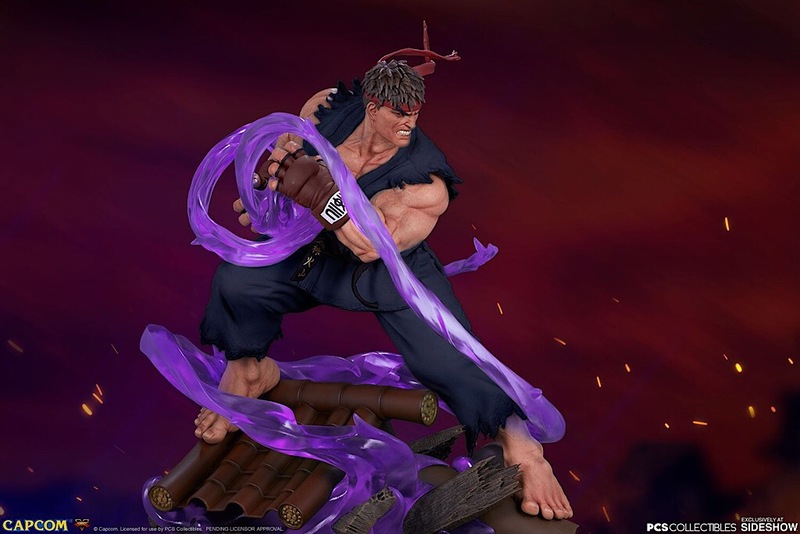 Sideshow and Pop Culture Shock Collectibles are proud to present the Evil Ryu Ultra 1:4 Scale Statue, ready to level up your roster of Street Fighter collectibles. 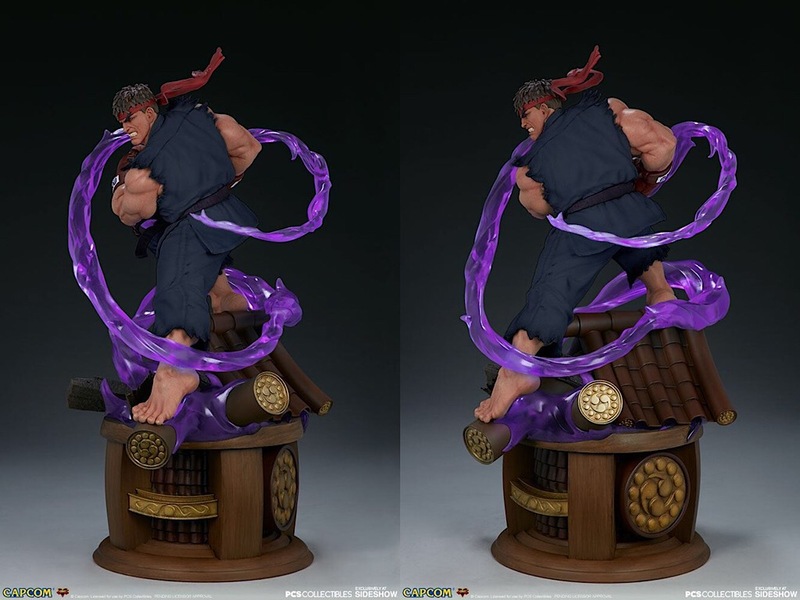 With his killing intent awakened, Evil Ryu stands about 20.5” tall atop a stylized Suzaku Castle base. 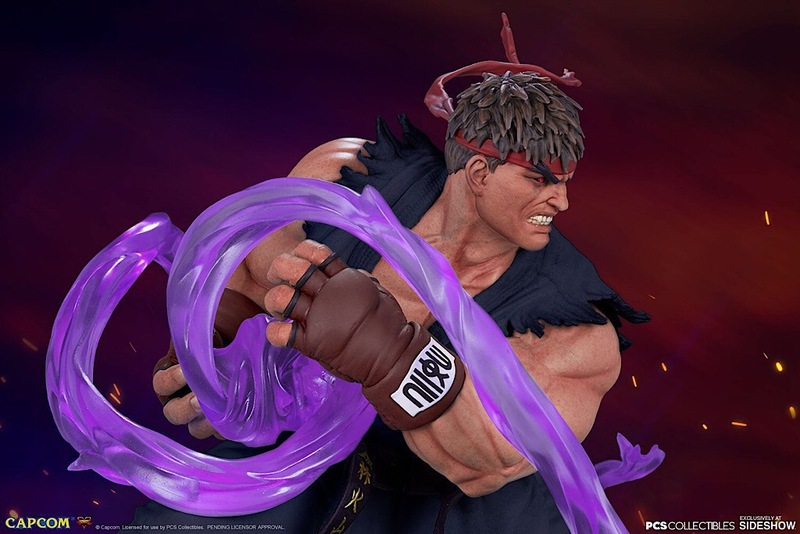 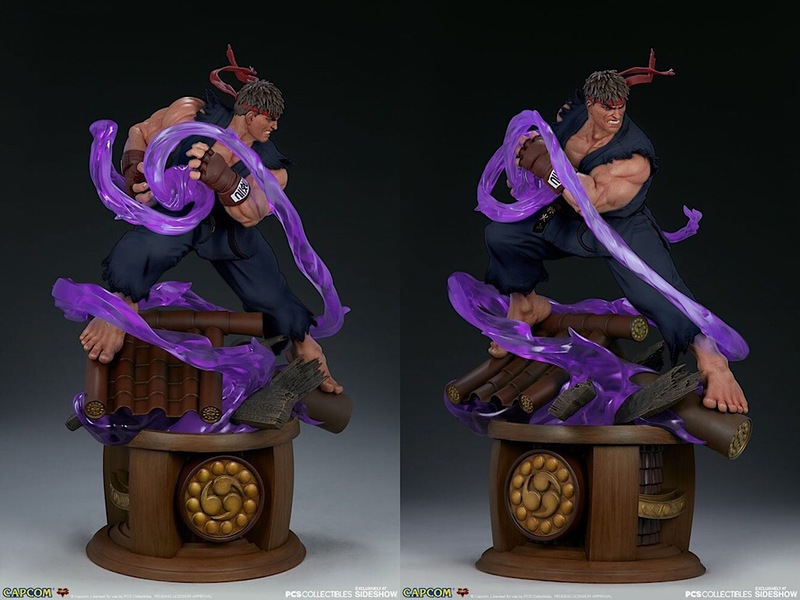 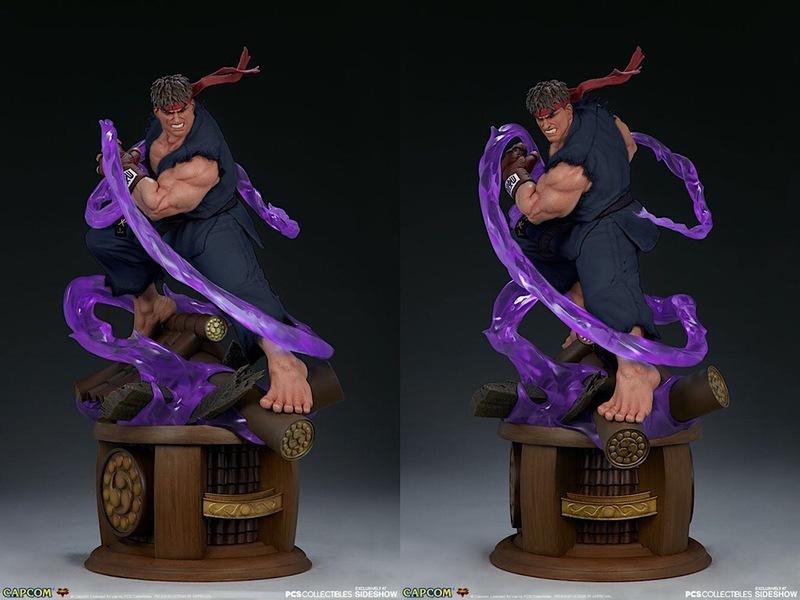 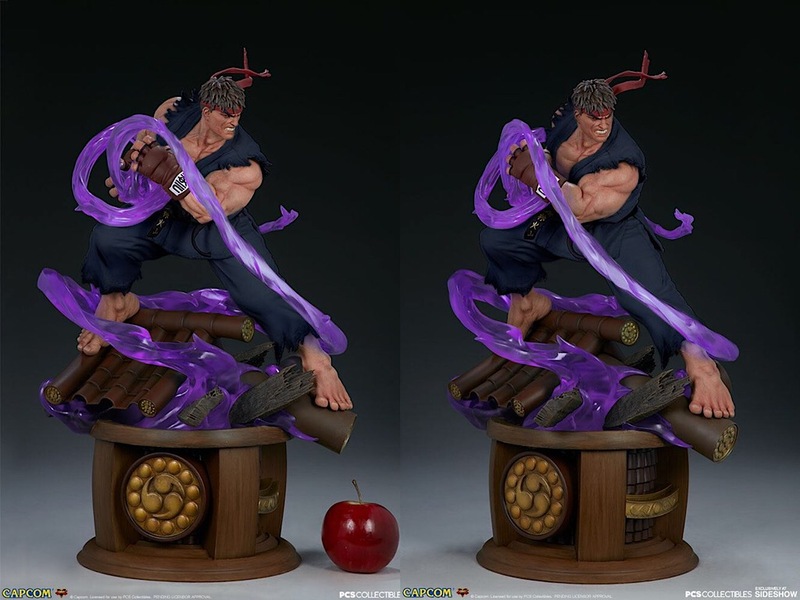 Translucent purple energy surges around the statue as Ryu charges his iconic Hadoken attack in a moment of intense fury, captured in this exciting video game collectible. 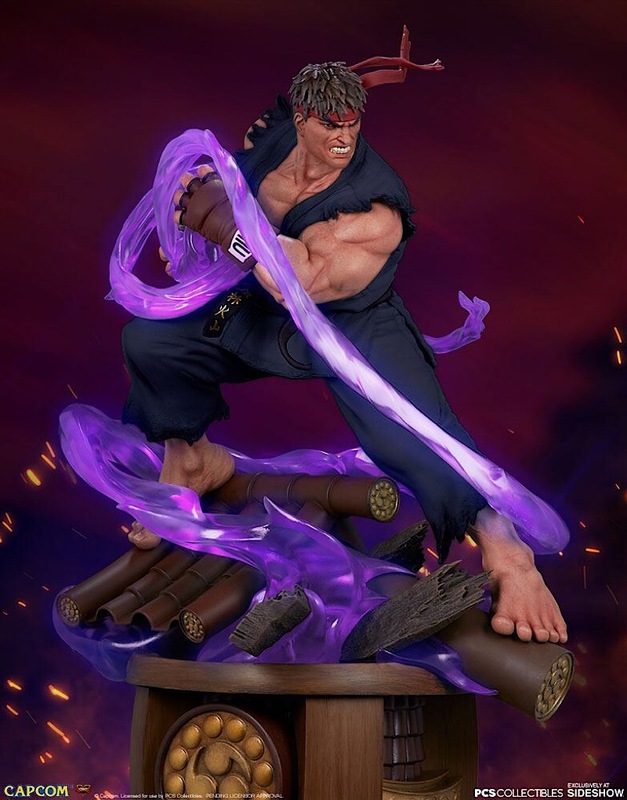 This ultra-detailed 1:4 scale statue is completely sculpted, faithfully referencing actual in-game models to ensure the utmost accuracy to this iconic character. 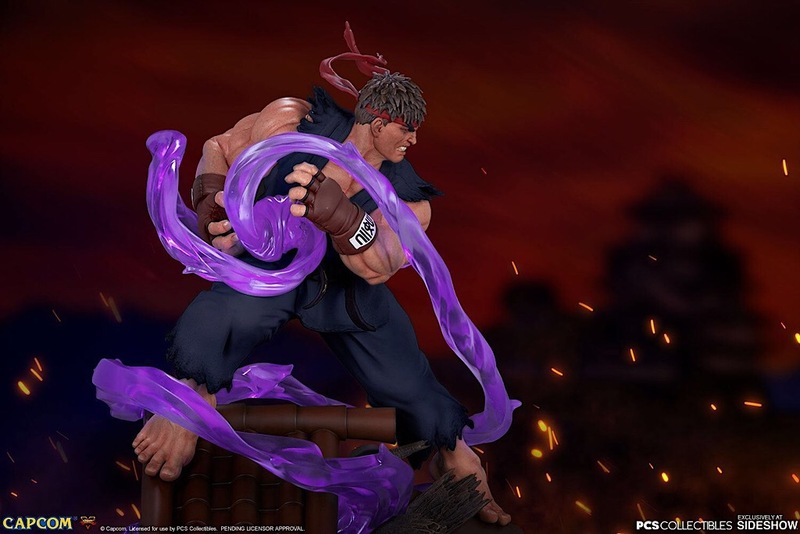 Ryu’s muscled physique and tattered black gi, red headband, and brown gloves are all detailed with lifelike textures. 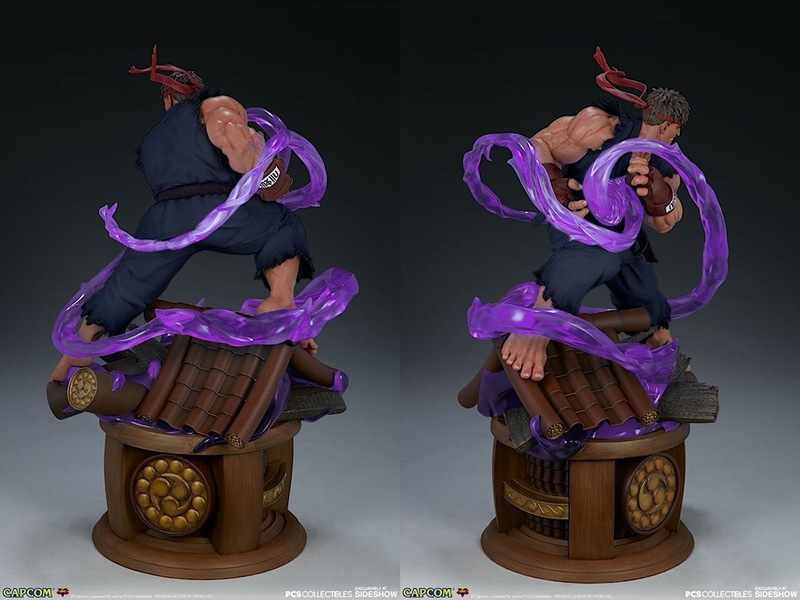 His portrait features brown hair and black eyes with fiery red irises, adding a sense of danger to this dynamic Street Fighter statue. 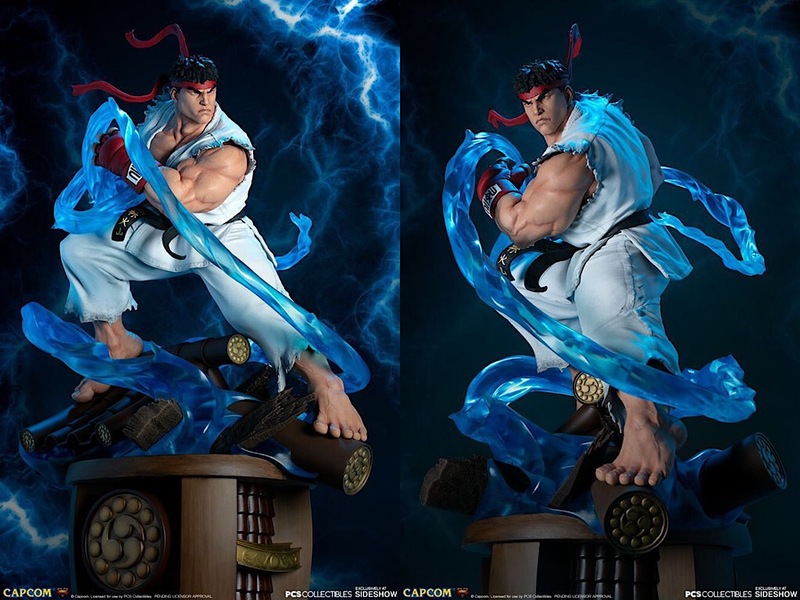 Sideshow and Pop Culture Shock Collectibles present the Battle Ryu Ultra 1:4 Scale Statue. 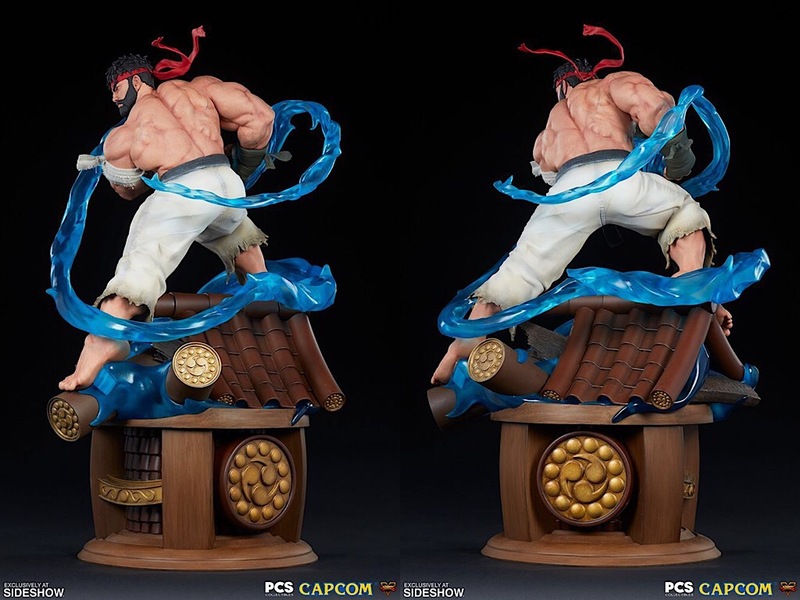 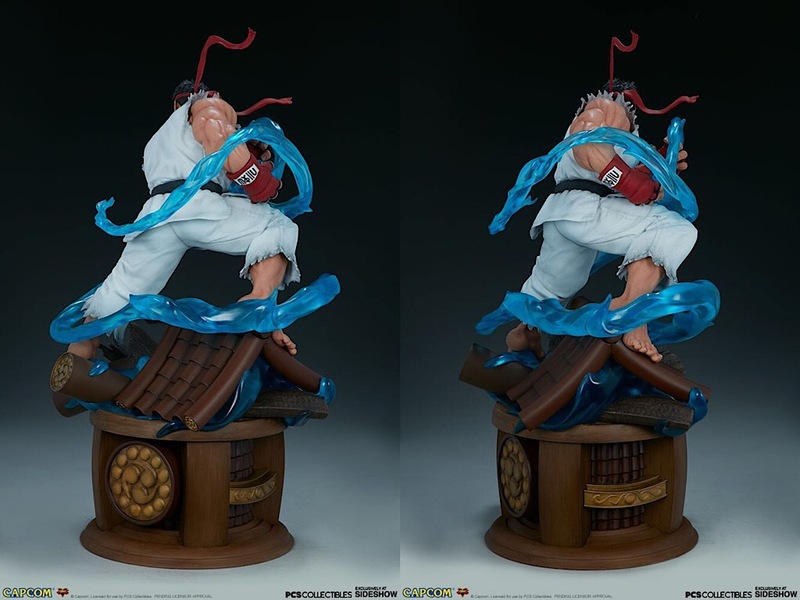 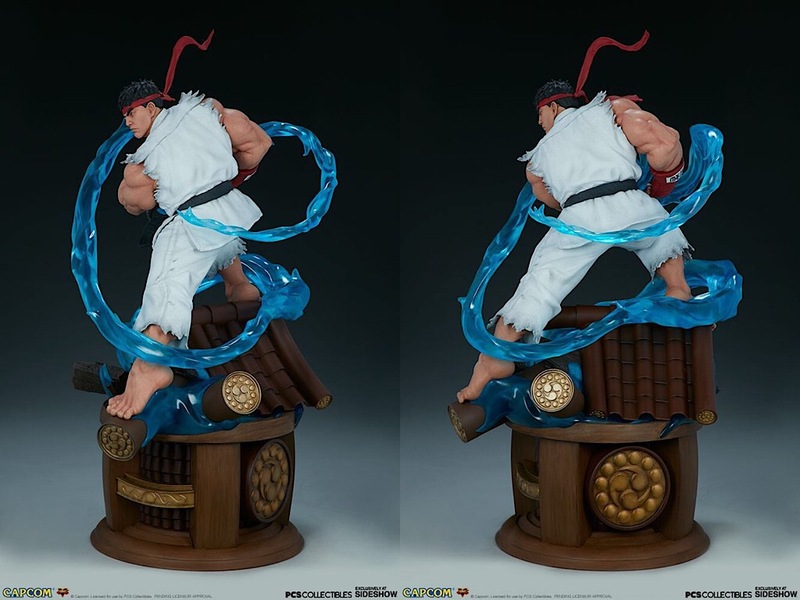 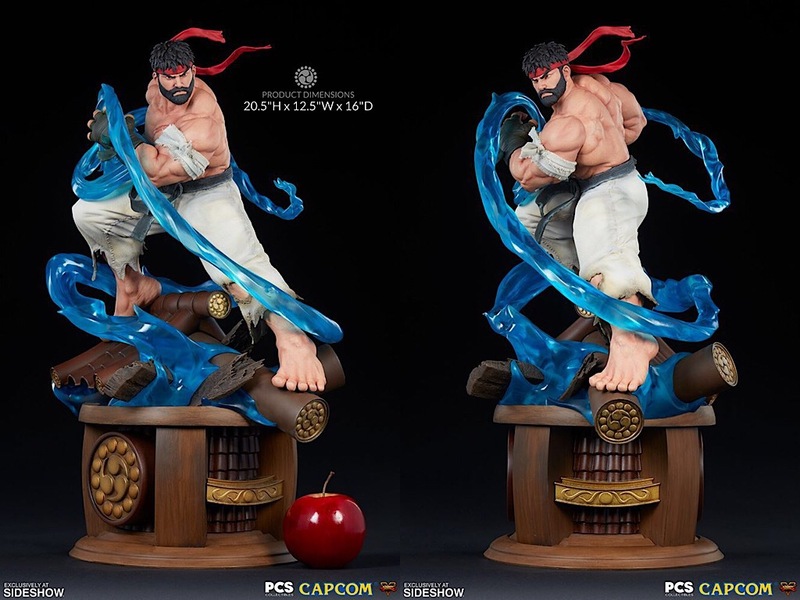 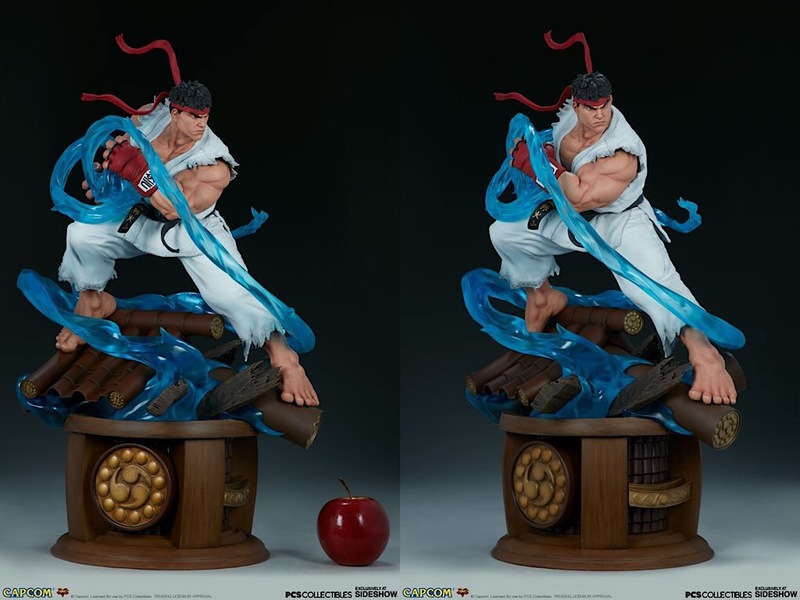 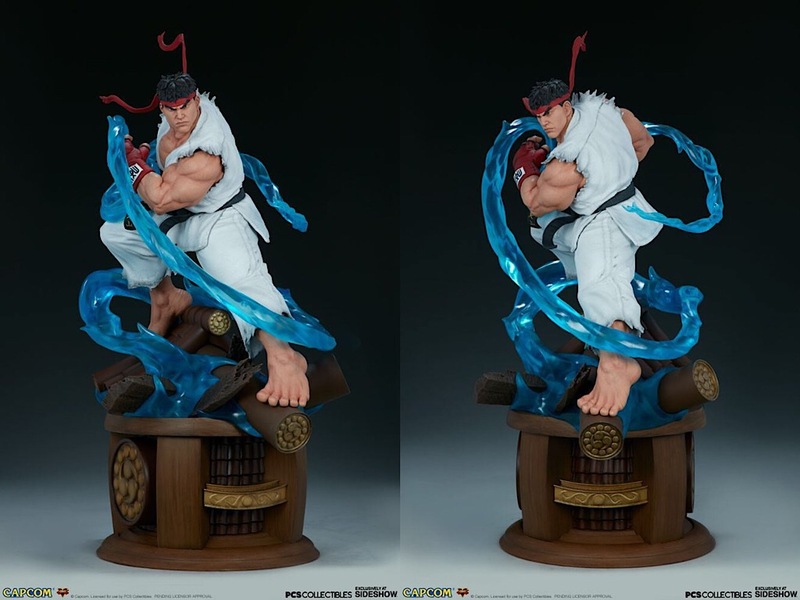 Ryu stands about 20.5” tall atop a stylized Suzaku Castle base, while translucent blue energy surges around the statue as he charges his iconic Hadoken attack. 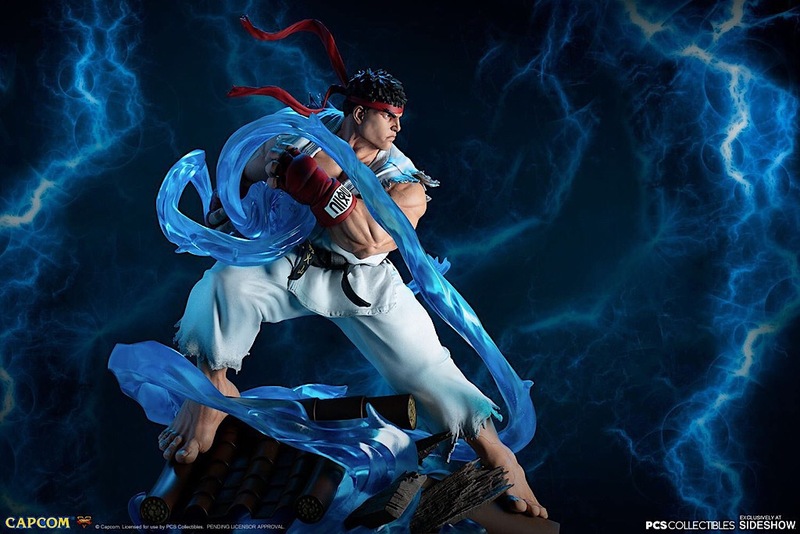 The Battle Ryu Ultra 1:4 Scale Statue faithfully references actual in-game models to ensure character accuracy. 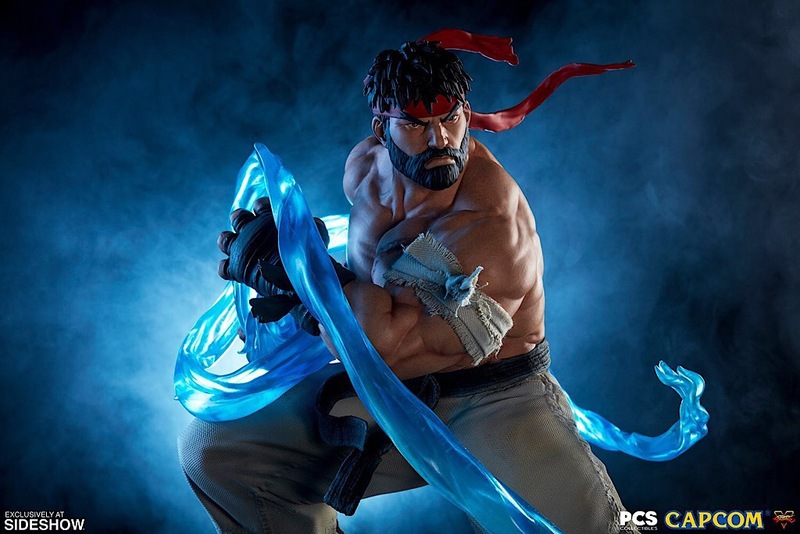 Battle Ryu features fully sculpted costume with tattered gi pants, as well as sculpted gloves, a red headband, a white armband, and a bearded portrait. 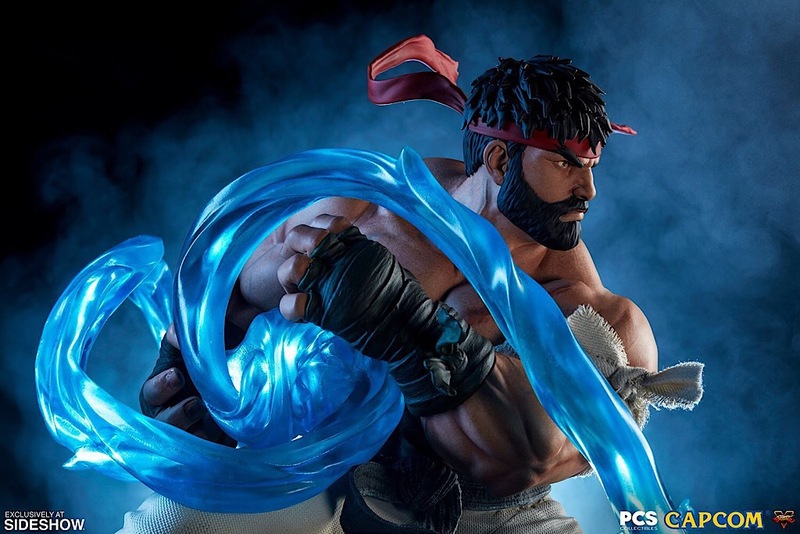 This battle-hardened fighter also has a variety of scars and veins adding detail and legacy to this dynamic figure. 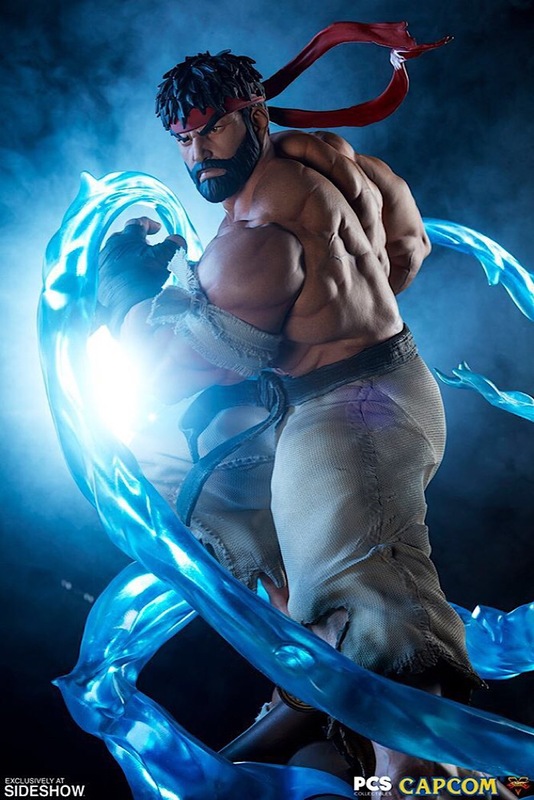 Für mehr Bilder der einzelnen Versionen einfach das Bild zum Hersteller anklicken.